Hops have always been known as the driving force behind beer, but now they're starting to grow their own culinary wings. Slowly but surely, this bizarre and bitter plant is showing up on more and more menus across the country as it catches on as a trendy and up-and-coming ingredient. 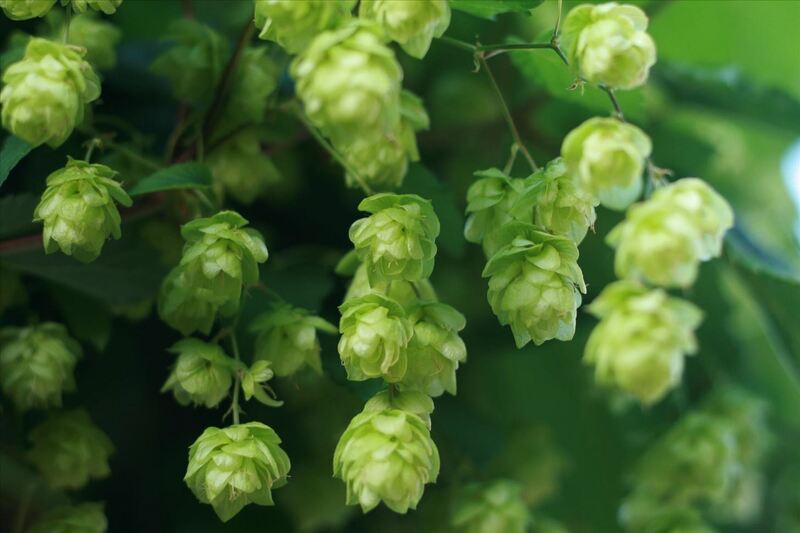 Hops are the flowers from the female Humulus lupulus plant, which can grow extremely tall and incredibly fast. Somewhat ironically, given the effects of beer, the plant that produces hops is one of only two species in the Cannabaceae family. The other? Marijuana. Hops are responsible for that potent bitterness that some people find off-putting in beer, though it's certainly what I find most endearing about the beverage. 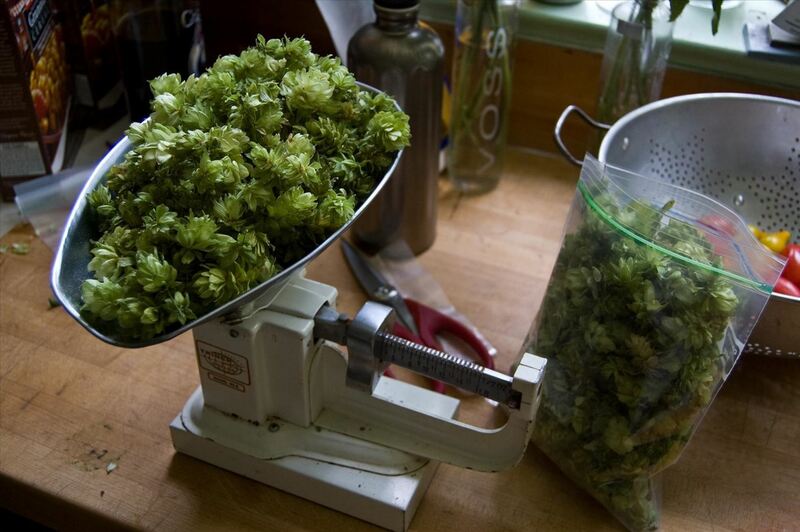 While hops are best fresh, they are most commonly used dried, because it can be hard to find the fresh ingredient. Despite the fact that hops are still relatively uncommon, they're entirely affordable. 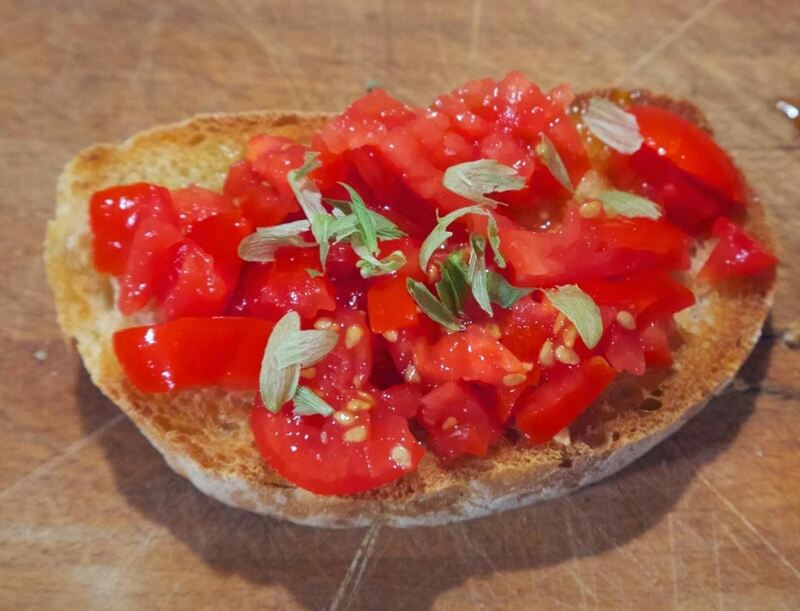 You may be able to find them at a local grocer, but if not, they're quite cheap online. Hops are like any other dried spice, though: they won't last forever. The shelf life is six to twelve months, but will be much shorter if not stored properly. Put in a ziplock bag in the freezer to maximize the lifespan of the ingredient. There are dozens of different strains of hops, each with a unique flavor. But above all, they are bitter: more bitter than the tartest lemons. That said, some strains are strictly bitter, while others are notably sweet or incredibly earthy. If you get the chance to purchase hops in person, you can rub them between your hands, and then smell your palms: the aroma left on your skin will be very indicative of the flavor profile. You can use hops like any herb, but if there's one word to keep in mind, it's this: restraint. Hops are incredibly strong, and their bitterness can take over a dish. That said, they can add amazing flavors; it's no coincidence that popularity for hops-based dishes is growing. 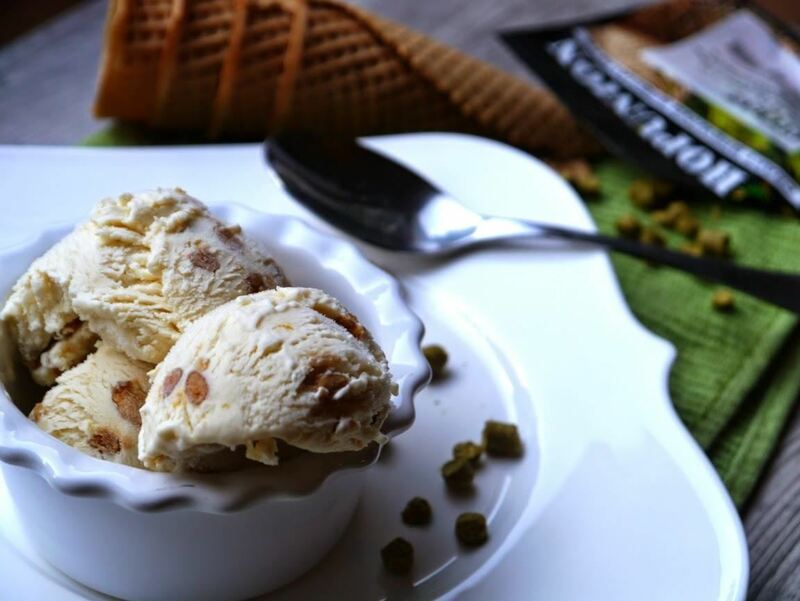 Ice cream has become a trendy dessert item, and it's very popular in sausages and bread (both of which pair well with beer). For those just getting accustomed to the taste of hops, I'd recommend adding it like a bay leaf to a soup or stew, or grating and sprinkling on top of an earthy entrée such as pasta or chicken. Food Network has a recipe for salmon and cauliflower with hops bernaise while Bon Appétit discusses using hops in bruschetta, sautéing the shoots like asparagus, or stuffing hops leaves with hops flowers, cheese, and herbs, similar to the way zucchini blossoms are usually cooked. Wildcraft Vita has a great list of hops recipes, including frittata, risotto, and fried chicken. The most exciting thing about hops is that their popularity is growing and growing; as more chefs start turning to the unique flower, we're sure to see more and more incredible uses for the bizarre plant. Be sure to check back on on Wednesdays for more unusual, surprising, and interesting foods. Learn how and why blood is a long-standing ingredient in traditional cooking, the poisonous fish that might get you high, and why you should add charcoal to your food.